TFI Securities analyst Ming-Chi Kuo expects that the next generation of Apple iPhone could be switching to MPI antenna technology instead of the LCP antennas as in the current models. This move is expected to improve costs and production yields, and also broaden Apple's supplier base. The next generation of Apple iPhones could be switching to Modified Polyimide (MPI) antennae instead of the Liquid Crystal Polymer (LCP) antennas currently in vogue, according to TFI Securities analyst Ming-Chi Kuo. This move is expected to improve both costs and production yields for Apple along with broadening its supplier base. 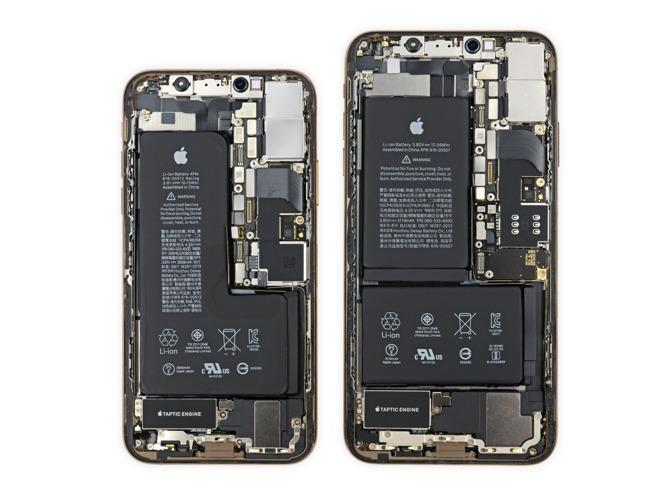 We predict that the modified polyimide (MPI) will replace Liquid Crystal Polymer (LCP) and become the mainstream antenna technology of 2H19 new iPhone models... In total, six LCP antennae are currently being equipped in 2H18 new iPhone models (XS Max, XS, and XR). We predict that  new iPhone models, including the new 6.5" OLED, 5.8" OLED, and 6.1" LCD models, will adopt four MPI antennae and two LCP antennae." Although LCP is a much more complex technology, it is 'brittle' than the available alternatives. Current MPI technology "can be as good as LCP thanks to improved fluoride formula", says Kuo. Also, Apple would stand to gain a few benefits by moving to MPI antennas. These include better 'bargaining power' against current LCP suppliers, an improved and reliable production process, and improved ease of new flexible PCB introductions, which will help improve yield rates. Of the six total antennae, all the three 2019 iPhone models will feature four MPI and two LCP antennae. Kuo predicts that this switch will help Apple to broaden its antenna supplier base from the present two to possibly five. He also notes that both these antenna types will continue to be utilized with MPI as the antenna of choice for lower-end phones. Antenna design is a complex process and the upcoming 5G networks are said to complicate the process even further. LCP is known for working consistently across the entire frequency range. Its low thermal expansion co-efficient means that it is stable across temperatures and its low signal loss makes it ideal for mmWave 5G NR. These properties also make LCP data lanes ideal for the upcoming USB 3.2 specification or Thunderbolt revisions. These supposed internal changes mean little for the average consumer, though. It remains to be seen how the move to a more cost-effective antenna technology will impact future iPhone prices. Here's hoping the company and its customers would not have to face another 'Antennagate' controversy.